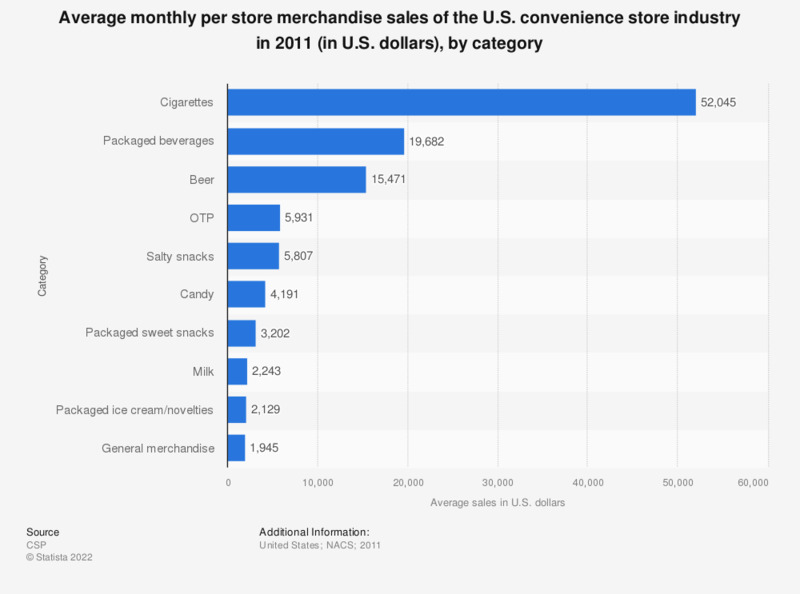 This statistic shows the merchandise sales of the convenience store industry in the United States in 2011, by product category. In that year, beer sales from the U.S. convenience store industry generated about 15,471 U.S. dollars in sales per store per month. * Sales per store per month.